If we can use a book to tell stories from both places, why not? In 2017, as we walked into book stores across Borneo, we find that all books, regardless of its category in humanity, geography, science, or finance, look all the same in texture and specifications. Through further understanding, we also found that most in the book industry have been digitized, the book release process maybe simpler and faster than before, from the file to the receipt of the book takes about two to three weeks. However, due to the monopolisation and the mass production in market, many book makers who initially insisted on highly crafted quality were gradually closed down. Due so, we experience less and less with our book, now reading a tangible book has been degraded into pure information absorption. If we agree that any production parameter of a book should communicate the core idea of the book, then we will also agree that we are going backward in that sense. Fortunately, we came across Garden City in Taiwan which still produce high quality book earlier this year. We decided to work together until we can reproduce the level of communication that a book can achieve, the process will be documented through video recording. During the collaboration, we were also told that if we reach out the same batch of book makers in 2018, we might not be able to achieve the same set of specifications as required. The reason is many manufacturers that could meet those specifications, are also in the process of being merged into bigger corporation. These may sound familiar, as it is similar to what we (the region of Singapore and Malaysia) have experienced it over the past 20 and 30 years ago. Therefore, if we can use a book to tell stories from both places, why not? And thanks to many who contributed to the process of this book in making it happen! Borneo Art Collective Book 2017 in production. Can we launch some changes for both Borneo and Taiwan in 2018, through tangible collaboration? By sharing both our process and outcome, we hope to explore a multi-facet collaboration with different individuals and groups during our book production process. These collaboration were carried out between us and our involving artists, editing team and our cross regional content partners. With a transparent process, we are hoping a collaborative culture towards common good could be systematically established and spread across, within and beyond both regions. Whatever we value in the process, give them a place. This project carried out an unprecedented way in content collecting, mass collaboration and cross regional production. We are hoping to see a new model emerge by the end of the process- whoever contributed in the process, will be fairly compensated through the gain of the process. With consideration of sale and duration, we arrange the gain to be distributed after one year of sale, from 400 books we got out of 700 books we printed together with our content partners in Taiwan. 70% of the gain will go to the content contributors and editorial team, while 30% will go to Borneo Art Collective for the following development. 300 out of 700 books will remain with Taiwan for further distribution, the gain will be investing in C X City-our Taiwanese partner's trip to 2018 Borneo Laboratory. 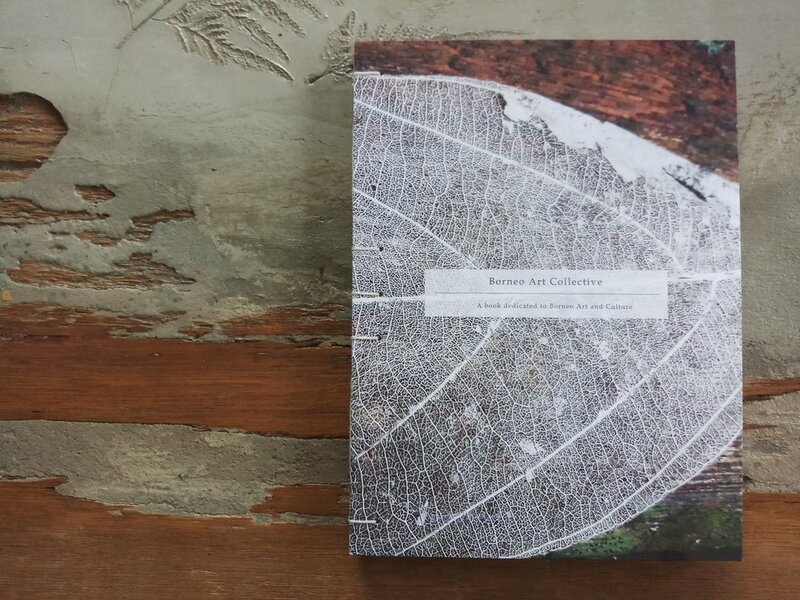 The tangible product of this collaborative making process is also a living evidence of a milestone collaboration between both Bornean and Taiwanese collective. Sponsored by Taiwanese Cultural Ministry, this project hopes to promote the cultural exchange of both region through tangible collaboation. This project will also be part of 'Borneo x Taiwan Laboratory' exhibition which will take place from November 2017 for a month. For amplifying the social impact, we are intended to have this model that derived from this collaborative process to be further tested by more potential publications from Borneo.